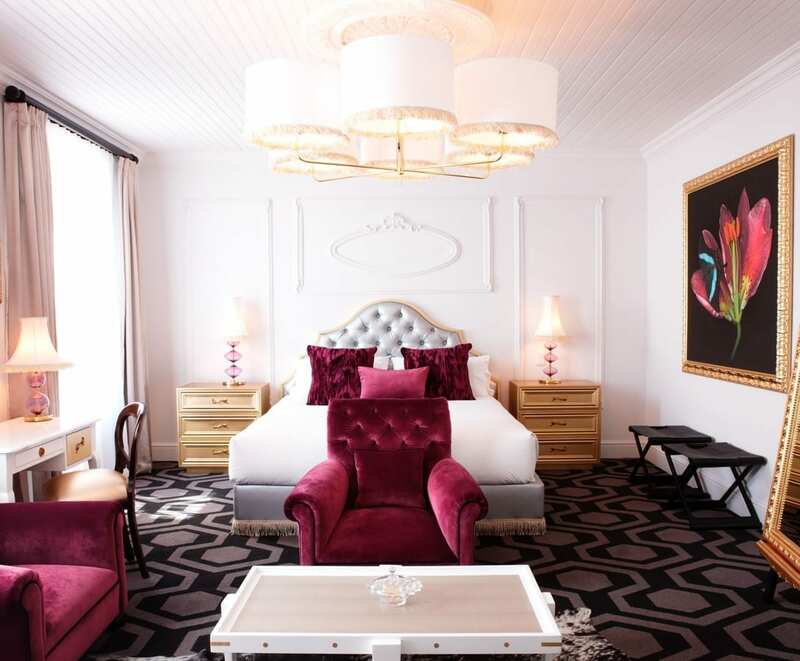 Modern elegance wrapped in rich history at Alphen Boutique Hotel in Constantia | Eat. Play. Drink. Cape Town. THE history of Constantia stretches back all the way to 1685 when, during an annual visit to the Cape, Hendrik Adriaan van Rheede tot Drakenstein granted the grounds of Groot Constantia to Simon van der Stel, the VOC (Dutch East India Company) Governor of the Cape of Good Hope. Constantia is the oldest wine-growing region in South Africa, and while it is still home to some very fine vineyards which produce, among other varietals, spectacularly good Sauvignon Blanc and Semillon, it’s an affluent residential suburb distinguished by its abundance of leafy trees and greenery. The Alphen estate, which was part of the original Groot Constantia estate and for a long while ran as a rickety little farm, is situated along the area’s green belt where joggers and walkers can follow the easy trail along the path next to the Diep River. 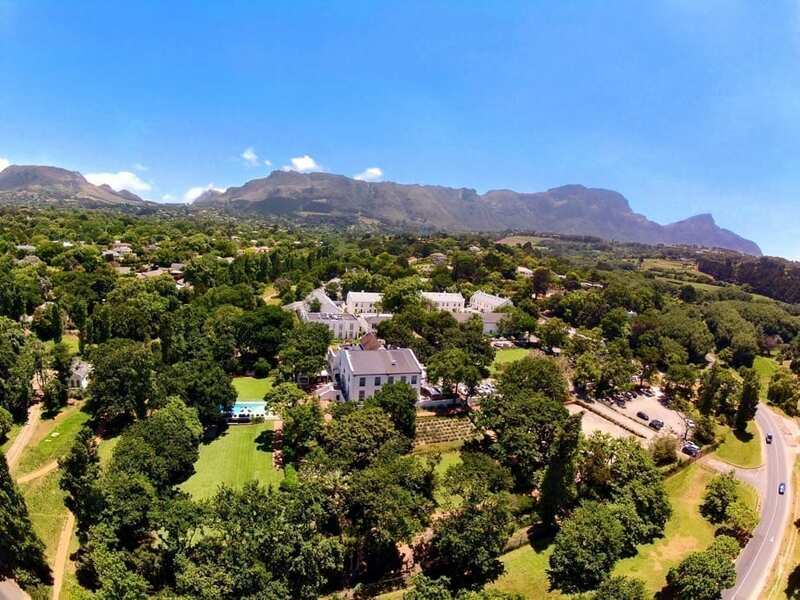 The homestead was built in 1753, and the restored manor house now forms part of the Alphen Boutique Hotel, along with two additional heritage manor houses with 19 extravagant, avant-garde suites, complete with modern amenities, plush comforts and high-tech facilities. Choose between classic, superior or a deluxe suite – whichever one you end up in is going to be gorgeous. Room décor is a white canvas with lots of bright, bold colour accents, with furnishing ranging from the quirky (the red buttock chair for example) to the clean and simple, to over-the-top – but never overdone – baroque features in gleaming metallic. Among the pieces you might find antique furniture from the original homestead which includes a chest of draws, said to have come off the Drommedaris, one of the three ships Van Riebeck sailed to the Cape. 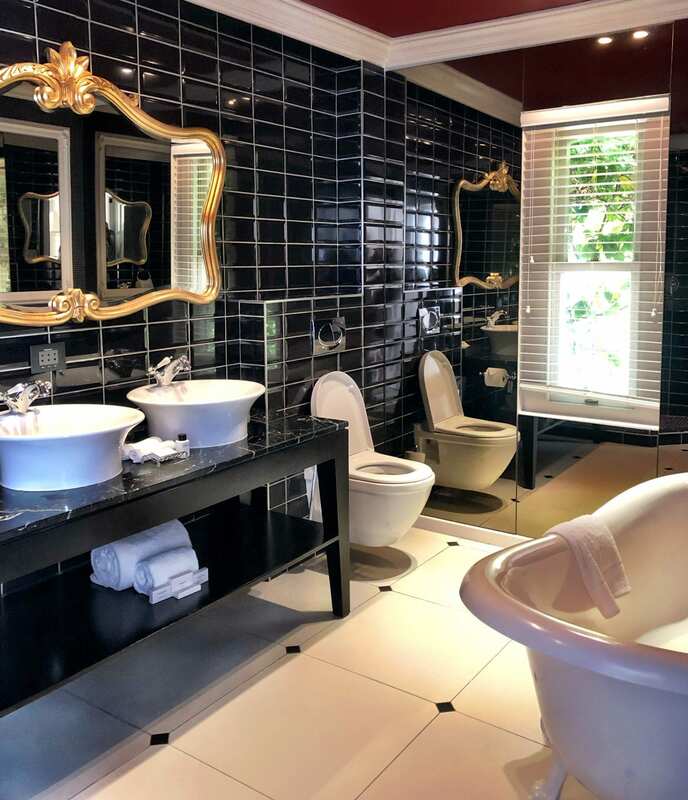 Opulence is not in short supply in the bathrooms either, which are strikingly tiled in black with lots of gold-framed mirrors. And I do believe you can glean much from which DStv channel the property decides to have on when you arrive; here it is VH1 Classic, of which I heartily approved. Our room was a deluxe, large and spacious with an open-plan seating area as well as its own private terrace. Other deluxe rooms have their own patios which allow access to the garden. The Alphen has three dining options: La Belle Bistro & Bakery takes care of your breakfast needs (pop over in the morning, or simply pick up the phone and order it to be delivered to your room) as well as light meals and decadent cakes for afternoon tea or any time of the day really; the upmarket and posh blanko serves lavish dinners from its Italian-themed menu; and the newest addition, Incognito – a cocktail lounge overlooking the pool and garden where you can choose from the selection of local wines as well as cocktails, and a super small plates menu for the not-so-hungry. All three venues are open to the public as well as hotel guests. Given the above, it’s easy to choose to spend much of your time luxuriating in your room with a chilled bottle of wine at hand, and a good book (or whatever takes your fancy) but being in the middle of a wine valley you would be remiss in not calling on some of the farms and estates. The most famous – and the oldest, celebrating 334 years in 2019 – is Groot Constantia, with cellar tours, wine tastings, two restaurants, and museums. 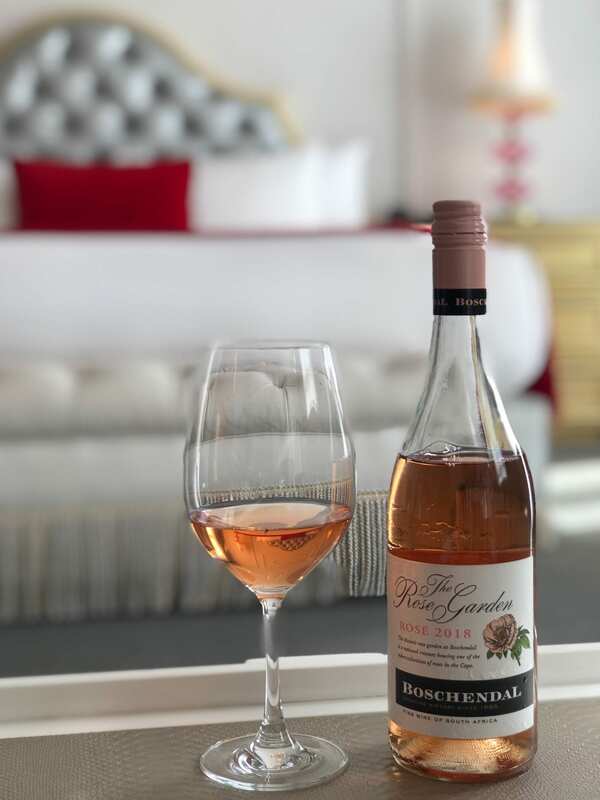 If you’ll allow one last little history lesson, the renowned Groot Constantia Grand Constance is South Africa’s oldest wine and is a fine example of the famous “Constantia Wyn” as drunk by emperors and kings, and honoured in literature and poetry. It makes an appearance in Charles Dickens’s Edwin Drood, Jane Austen’s character recommended it as a cure for a broken heart to heroine Marianne Dashwood in Sense And Sensibility, and Charles Baudelaire compared Constantia wine to his lover‘s lips in his volume of poems, Les Fleurs du Mal. It was a favourite of Napoleon Bonaparte who was allowed to drink wine made at Groot Constantia while exiled on the island of Saint Helena from 1815 until his death in May 1821. 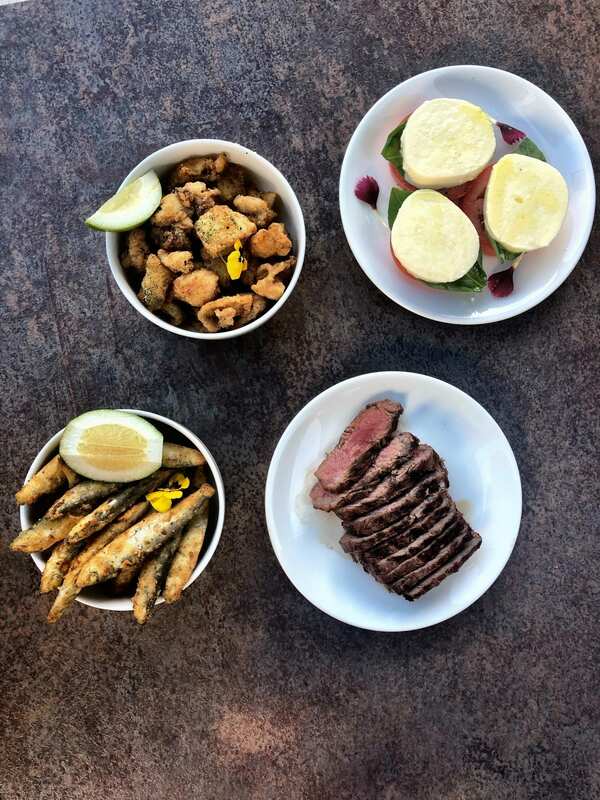 Other farms in the Constantia Valley are Klein Constantia, Buitenverwachting, Constantia Uitsig, Steenberg, Constantia Glen, Eagles’ Nest, Silvermist Vineyards and Beau Constantia, each with its own special reason to visit. 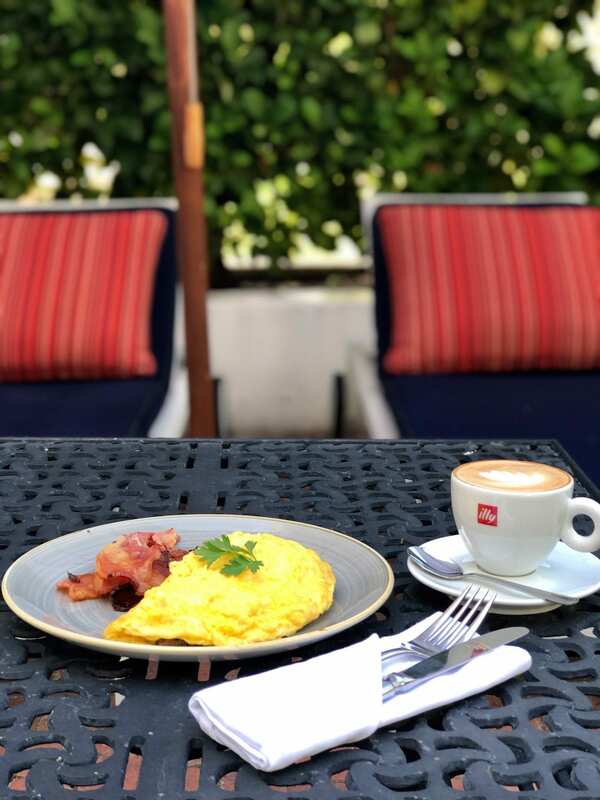 The concierge at The Alphen will be delighted to put together an itinerary for you, based on your personal preferences, whether it’s wine, excellent food, or stunning views. Tip: most the farms will have all three.